Many believe that the beginning of the modern Spiritualist Movement can be traced to a series of supernatural events which occurred near Rochester, New York in 1848. 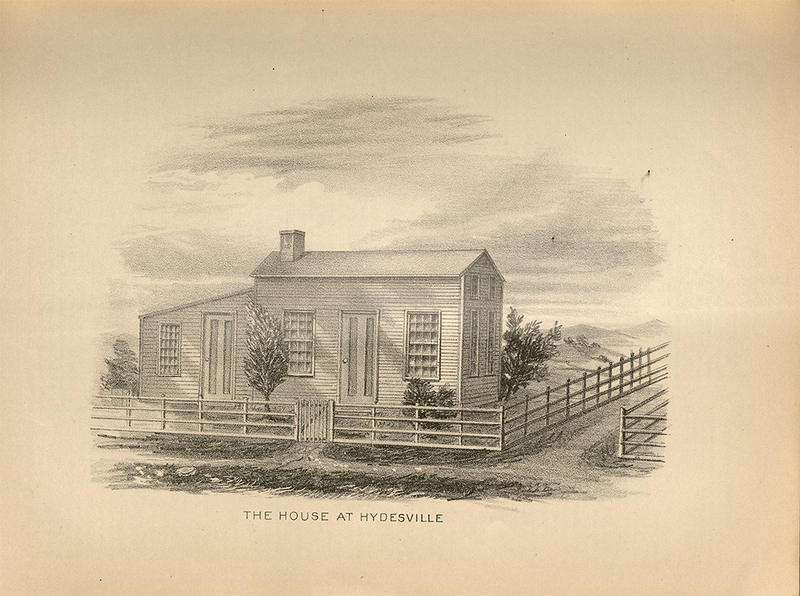 As legend has it, John Fox and his family moved into their Hydesville farmhouse in December 1947. Over the next few months the family was repeatedly frightened by unexplainable rapping, tapping, and other strange sounds at night. 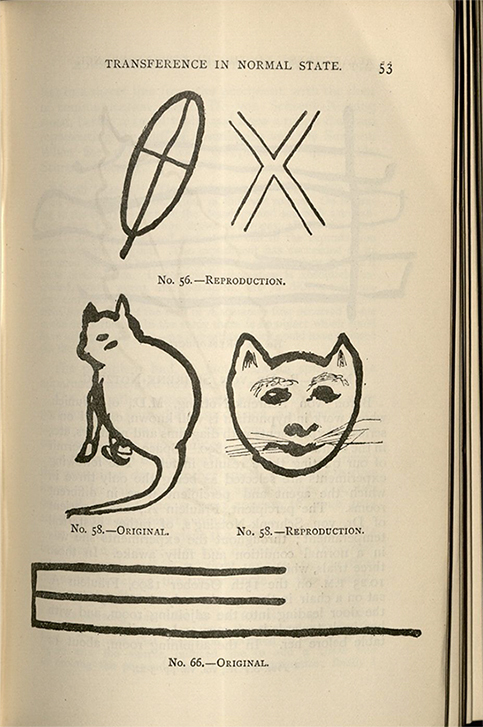 This prompted his two younger daughters, Kate aged 12 and Margaret aged fifteen, to create a method of communicating with the house’s noisy spirits through a series of finger snaps. Neighbors were called in to witness this phenomenon and soon the sisters were demonstrating their abilities for townspeople and visitors alike. 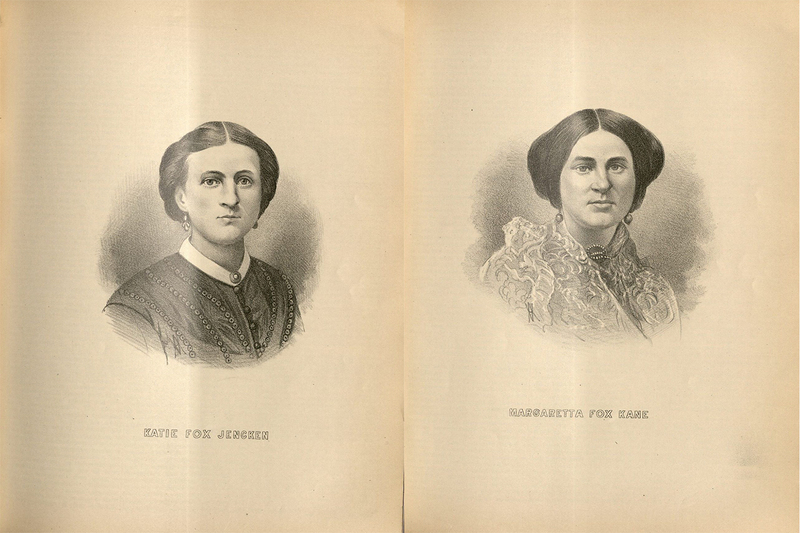 In November 1849, the sisters played to a paying audience at Corinthian Hall in Rochester, beginning a long career of public events featuring the sisters and other spiritualist mediums across the United States and abroad. Early spiritualist gatherings tended to focus on demonstrating and investigating phenomena such as clairvoyance, telepathy, and messages from the deceased. Over time, the practice of having sittings for communicating with spirits, known as séances, became extremely popular, featuring mediums whose powers included levitating objects, table turning, and channeling the voices of the dead. Famous followers of the Spiritualist Movement include, Helen Keller, Arthur Conan Doyle, Horace Greeley, and Mary Todd Lincoln, to name a few. 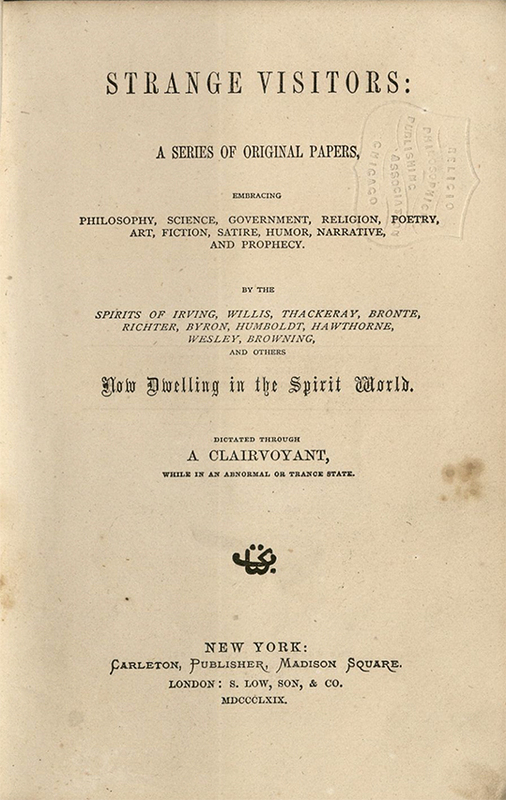 The growing popularity of Spiritualism in the nineteenth century influenced the rise of the discipline of psychic research, which attempted to apply scientific techniques to examine paranormal and parapsychological experiences, including telepathy, precognition, clairvoyance, and contact with the spirit world. By the close of the 19th century, the phenomena of mediumship was widely studied, by some in an effort to verify its legitimacy, and by others to expose widespread fraud. 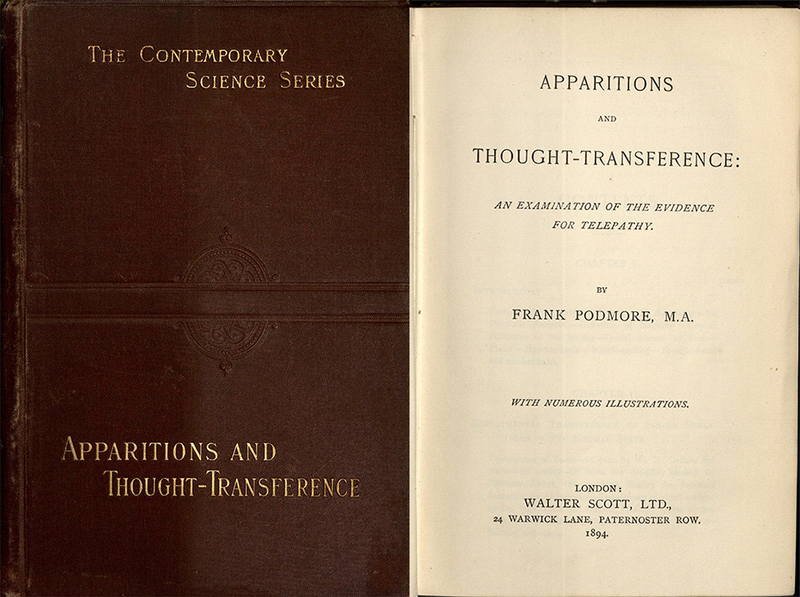 Frank Podmore, a member of the Society for Psychical Research, defended telepathy in his book Apparitions and Thought-Transference: An Examination of the Evidence for Telepathy, but remained skeptical about the existence of poltergeists and other types of spectres. 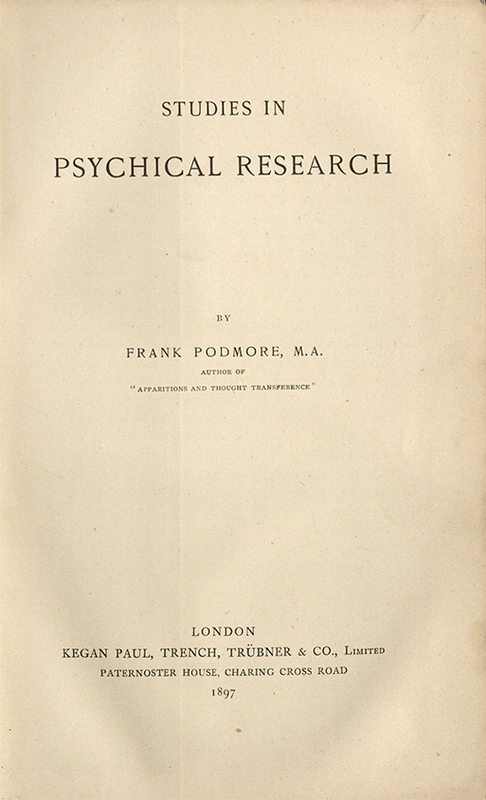 Due to Podmore’s rationalistic explanations and objectivity, his second book, Studies in Psychical Research was well received by the scientific community. 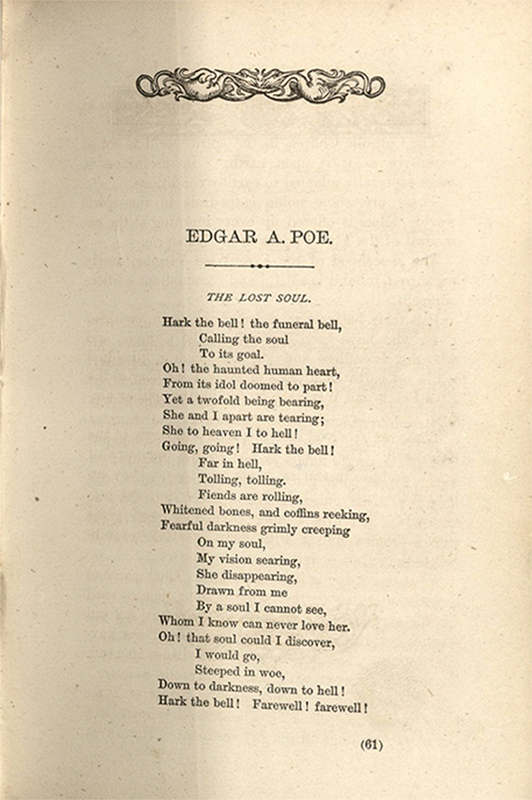 Henry J. Horn’s popular book, Strange Visitors is a compilation of papers, essays, and poems, reportedly dictated by a host of famous individuals from the great beyond, including Lord Byron, Nathaniel Hawthorne, Napoleon Bonaparte, and Edgar Alan Poe, which were channeled through a clairvoyant in a trance-like state. Although Spiritualism provoked opposition among many organized religions, some followers sought to enhance and enrich their understanding of religious experience with spiritualist ideas, such as Minot Judson Savage, an American Unitarian minister, who sought to establish the existence of life after death through the medium of psychical research documented in his book, Can Telepathy Explain? The Law of Psychic Phenomena, by Thomas Jay Hudson, is considered a classic work in the field of psychic manifestations. 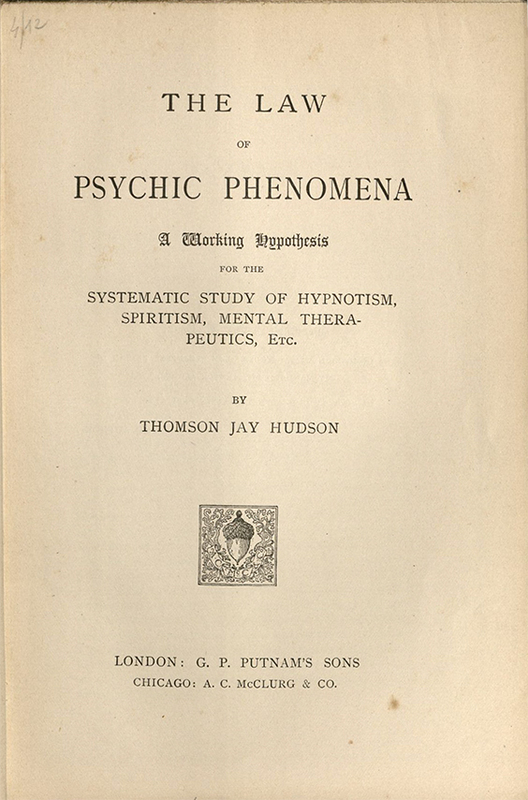 Hudson’s observations of hypnotism shows and other psychic gatherings, led him to develop the theory that any contact with the spirit world was actually contact with the medium's or the subject's own subconscious. 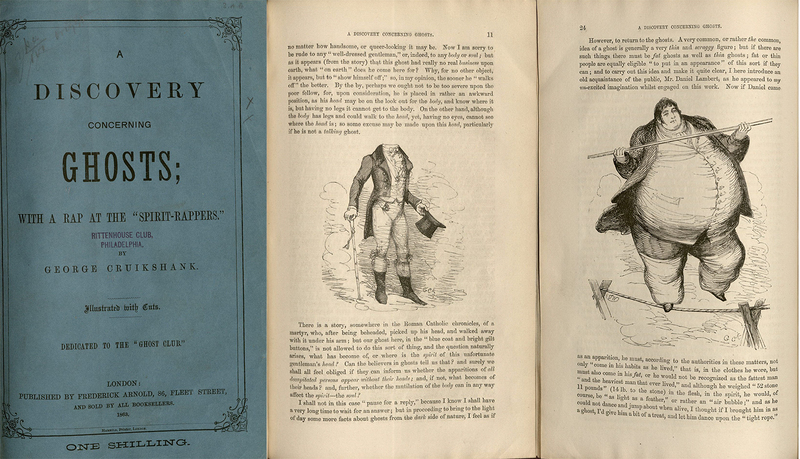 Famous British caricaturist and book illustrator, George Cruikshank, wrote a pamphlet entitled, A Discovery Concerning Ghosts with a Rap at the ‘Spirit-rappers' which takes a humorous yet critical stab at Spiritualists beliefs. 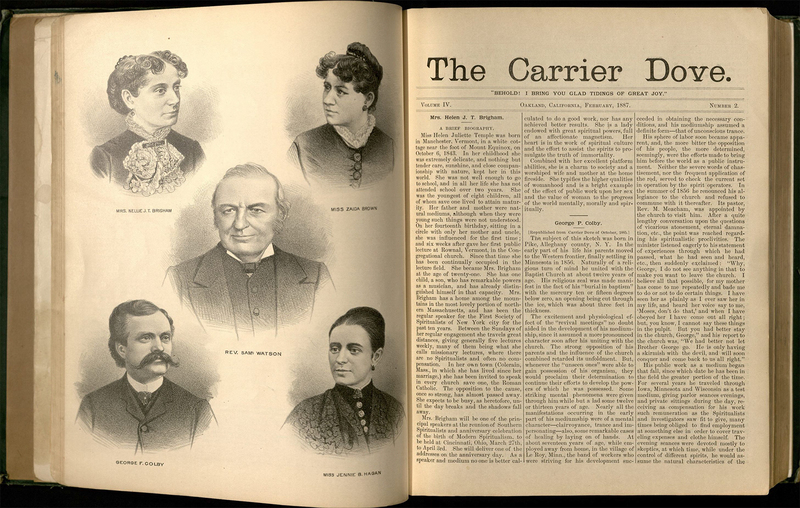 The Carrier Dove, An Illustrated Weekly Journal Devoted to Spiritualism and Reform was first published in September 1883. As its founder and editor in chief, Julia Schlesinger, described, "It was the first spiritual magazine in the world that made a specialty of publishing portraits and biographical sketches of prominent Spiritualists. After being issued three years and a half as a monthly, it was changed into a weekly, but still retained its magazine form and illustrations." 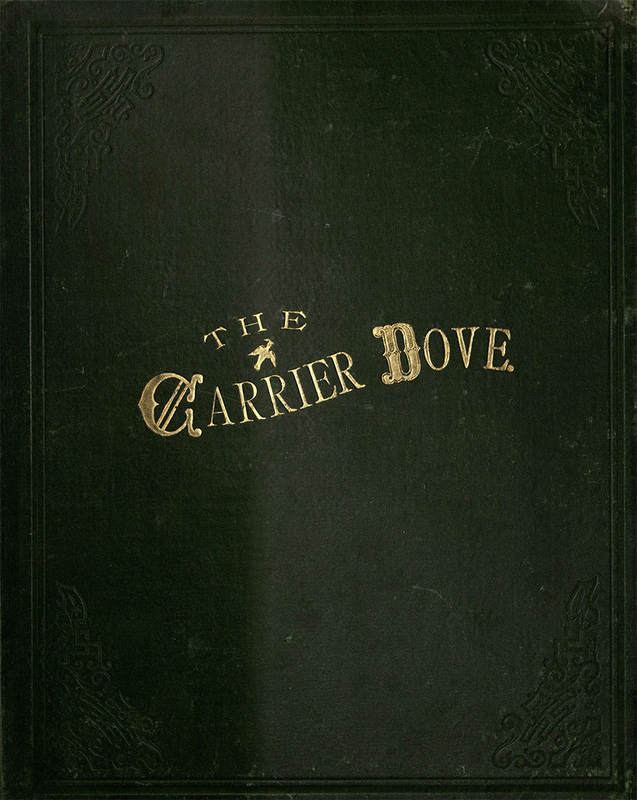 The Carrier Dove ceased publication in 1893.